Learning how to learn and understand is a real skill that EVERYONE needs to have. I am not talking about school or traditional education. I am talking about investing in your own education that you may have bought in a course or got on the internet. Or even from a friend or colleague teaching you a skill for starting a business. I will say that if you want to get ahead, investing in your own education that will propel you in what YOU want is the best. As far as just “getting a degree” in my view unless you becoming a doctor or something you want doesn't give you freedom anymore as far I am concerned. 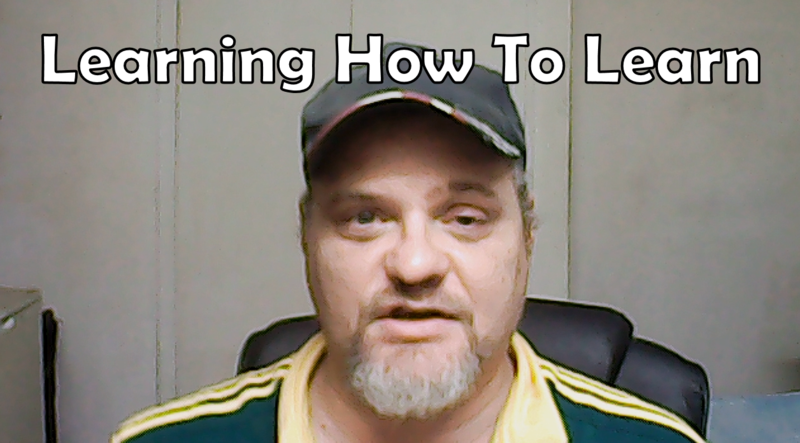 What I am talking about in the video below is about the process of learning and ways to improve it. I also talk about how you can speed up the learning process. I talk about the process of information overload and why it can help you. Some people hate the idea of information overload but You'll learn why it's a good thing.